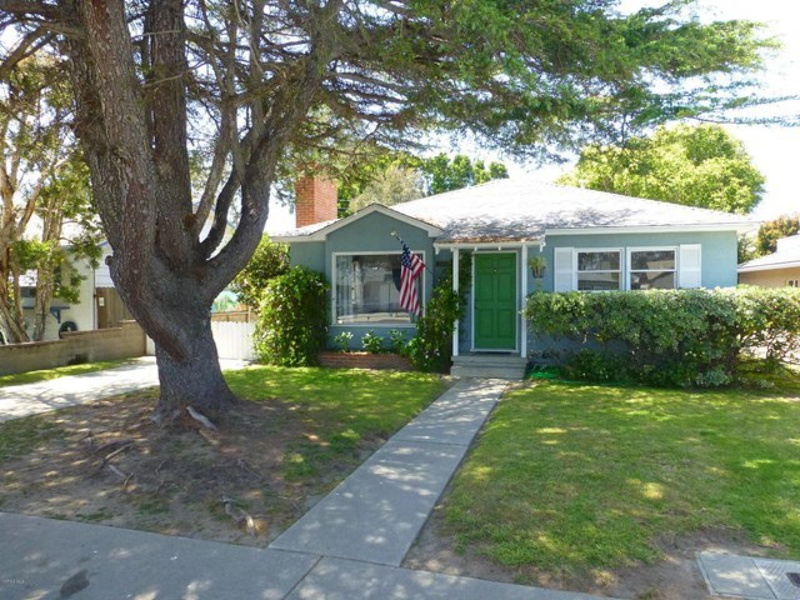 Walk to the beach from this absolutely charming 2 bedroom 1 bath cottage located just blocks from the Port Hueneme Beaches. Nicely landscaped front yard leads to the entry into the living room and dining area. Featuring textured ceilings and recessed lighting and romantic fireplace for those wonderful evenings after a walk on the beach. Second bedroom is currently being used as an office. Great gourmet kitchen with plenty of counter and cabinet space with great gas oven and range. From the master bedroom you walk out the French doors onto you back porch with lovely back yard to view. Laundry room with 220 for the dryer. With gated driveway with room for several cars, plus a large 1 car garage and an attached ''studio'' or short term visitors. What a great home in a great location near great beaches....or as the saying goes, ''location-location-location!'' And, boy, does this home have it!